B&W photograph, 16.6 x 10.8 cm. Signed. Dated: 1905. 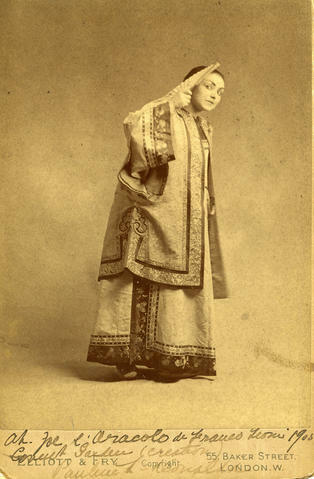 Pauline Donalda as Ah-joe for Franco Leoni's "L'Oracolo", Convent Garden.